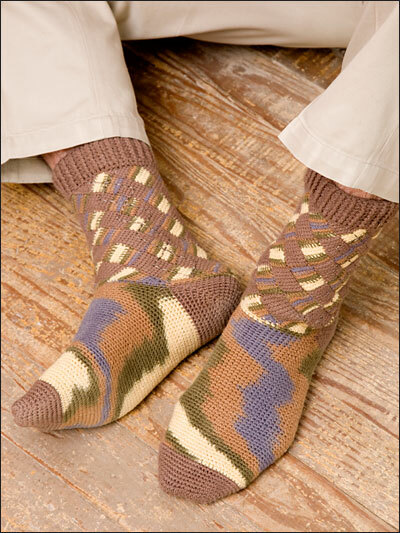 Crochet Patterns - Learn to Crochet Socks the Toe-Up Way! Learn to crochet a sock beginning at the toe and working up. 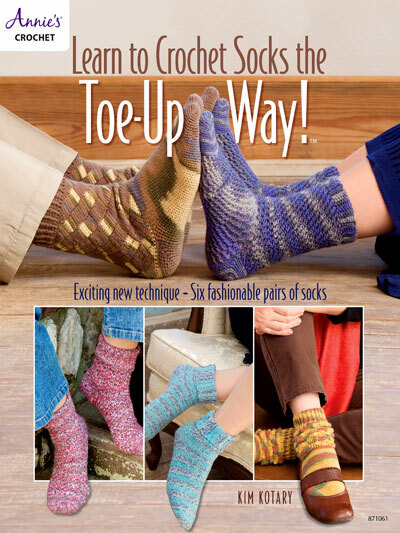 If you have never crocheted socks but always wanted to, this book is for you. 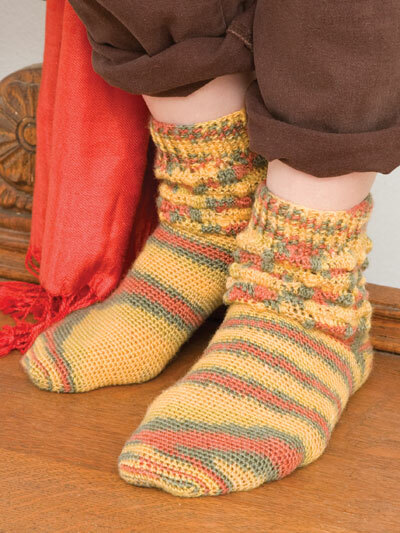 It includes step-by-step instructions on how to custom fit a basic crocheted sock with great tips on how to measure, type of yarns to use, which stitches stretch the best and much more. Choose from 5 different style socks for women and 1 style for men.